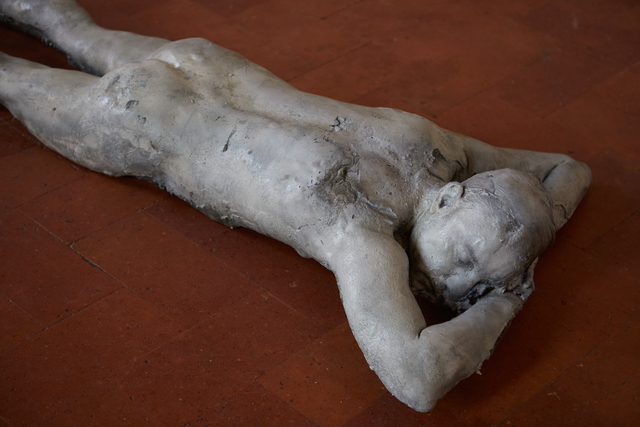 The Sleep (2018) by Antonio Fiorentino is a sculpture made during the residence at Palazzo Monti, the result of the cast of a living person returned to its real dimension. 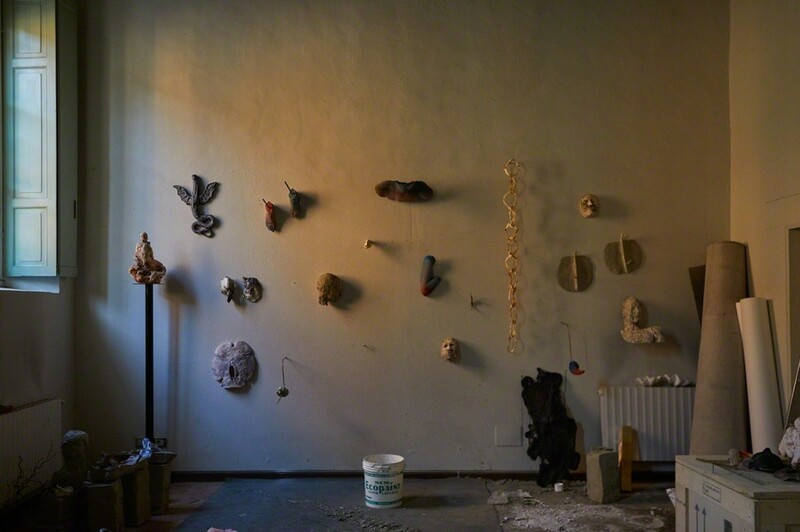 Outcome of an uncontrolled process of the materials that compose it - plaster, chalk, graphite, sand and pigments - The Sleep lies naked inside a frescoed room on the first floor, where the artist lived and worked during three months. 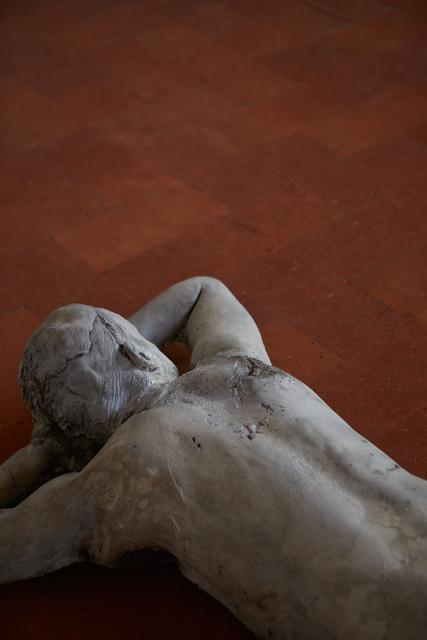 Abandoned in a deep sleep, in a prone position with the arms under the head, The Sleep presents itself as a timeless sleeping figure, meticulously realistic in its most intimate details - like the real eyelashes that frame the closed eyes, the interstices of the body, the its cavities and goosebumps traces on the buttocks - but far from the real and suspended in the passage of time. 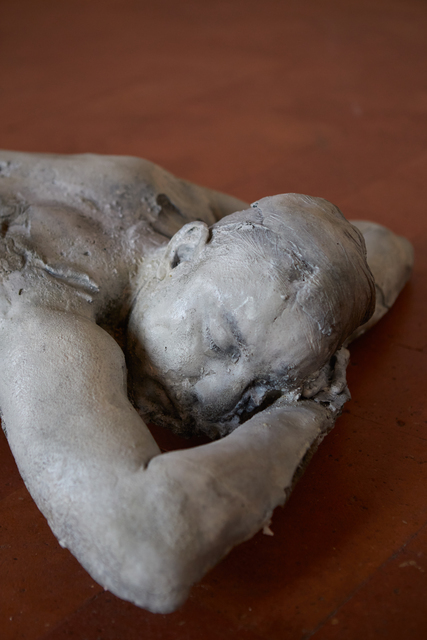 Portrayed inside the unconscious of a restless sleep, and in a persistent physical tension, this figure seems to be imprisoned in a state of unconsciousness, unable to exercise one's reason. Paying homage to the engraving The sleep of reason generates monsters (1797) by Francisco Goya, Antonio Fiorentino realizes a work that provokes our gaze, perhaps a metaphor of our present, solicitation, individual and collective, of a necessary awakening. 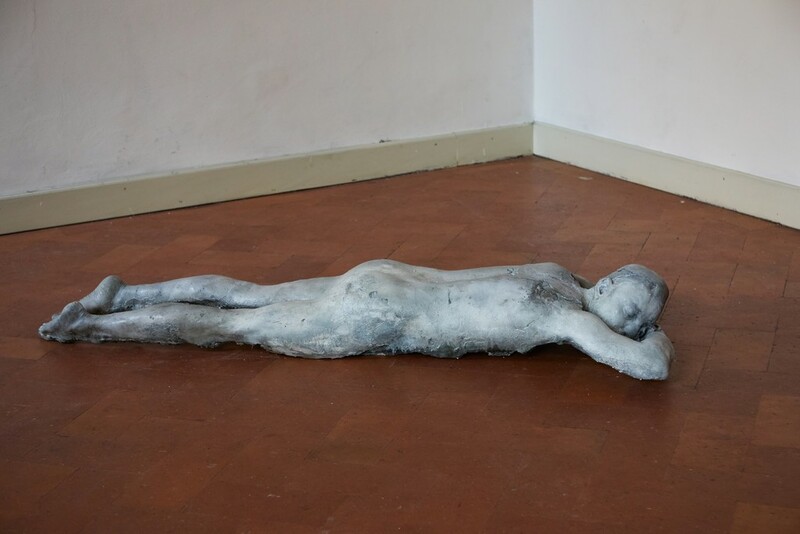 The work of Antonio Fiorentino (Barletta, Italy 1987), who today lives and works between Milan and New York, is realized with a practice that goes through sculpture, installation and video. His research is aimed at experimenting with matter, altering its transformation processes and the passage of time. 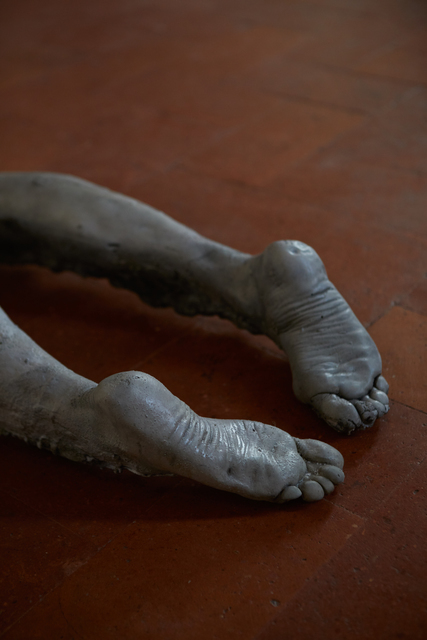 He received awards for emerging artists, including the 2015 Talent Prize and the New York Prize XVI 2018. 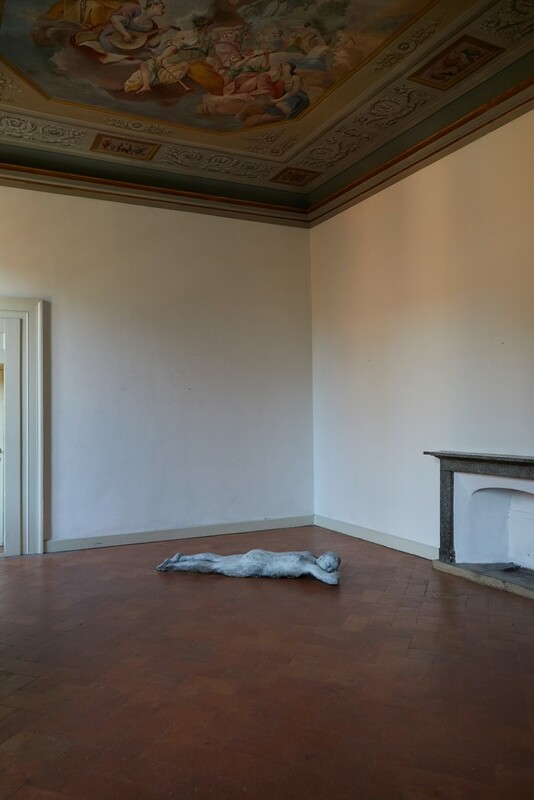 National and international institutions where he exhibited: Italian Institute of Culture New York (2018); MUSAC Leon, (2018); MUHNAC of Lisbon, (2017); HANGAR Lisbon, (2017); ISCP New York, (2017); Swiss Institute of Rome, (2017); The National Gallery of Rome, (2016); HIAP Helsinki, (2016); Kunst Meran (2015); Villa Arson Center of Contemporary Art Nice, (2014); American Academy of Rome, (2013); Contemporary Locus, (2013); Sandretto Re Rebaudengo Foundation, (2012).